Every parent knows that outdoor play is great for kids, but some kids need a little extra convincing. And as the summer wanes, video games may have a much greater appeal than the outdoors. If your kids are opting for virtual adventures instead of backyard adventures, here are a few tips for getting them to give the great outdoors another chance. 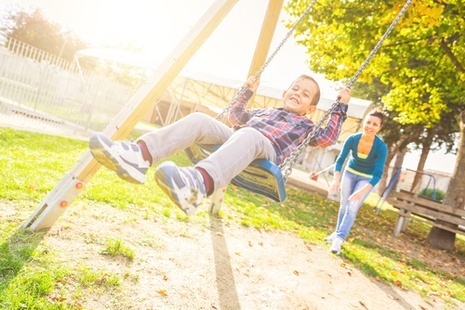 There's nothing like the sound of children laughing and playing, and the summer months provide lots of opportunities for outdoor fun. You want your backyard playground to be a safe, enjoyable, and visually appealing place for your children to run, play and grow. 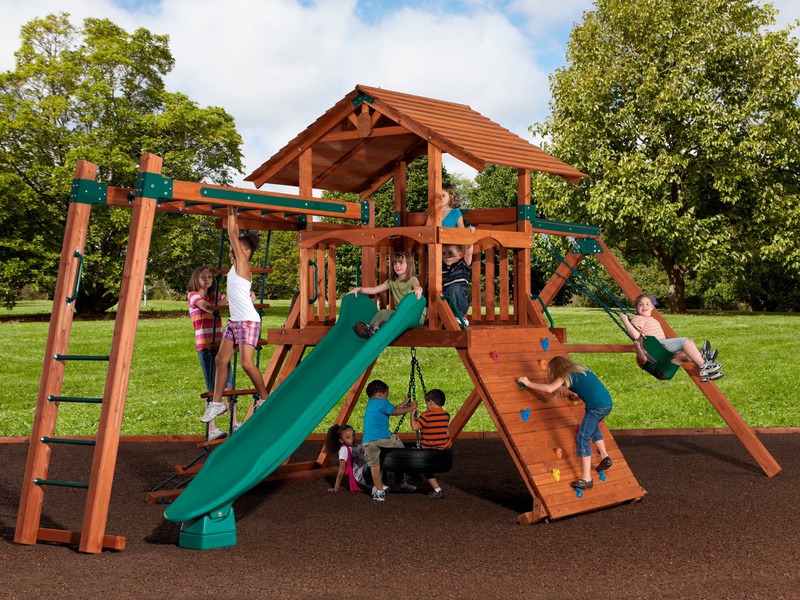 Here's how to start your search for the perfect cedar playset for your home or organization's kid-friendly playground. 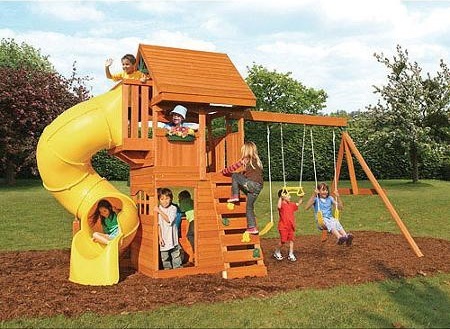 Backyard Adventures Adventure Treehouse Junior 2 Playset was designed to maximize the amount of play in a majority of smaller spaces. 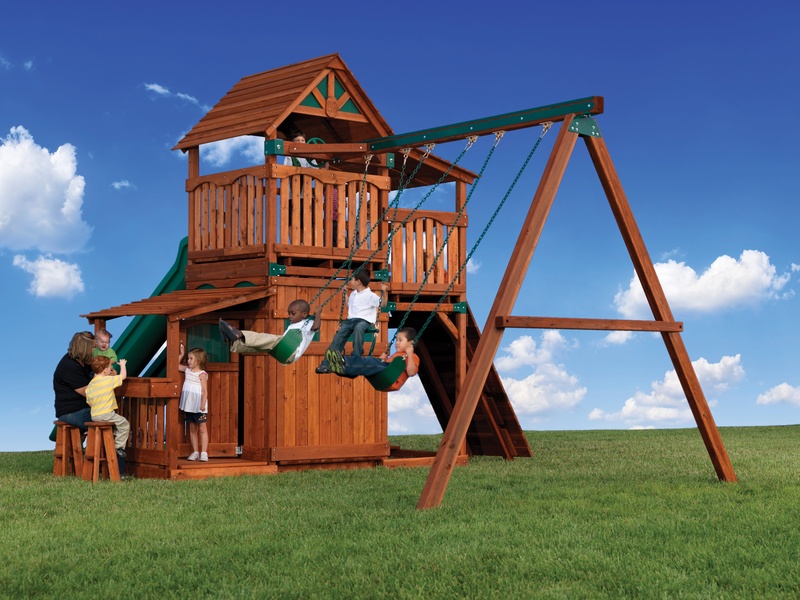 This treehouse playset is perfect for families with kids off all ages because of its 5' deck height and ability to add so many play accessories. In order to make room for the newest playsets Backyard Adventures has to offer we are having an End of Summer Playset Display sale! 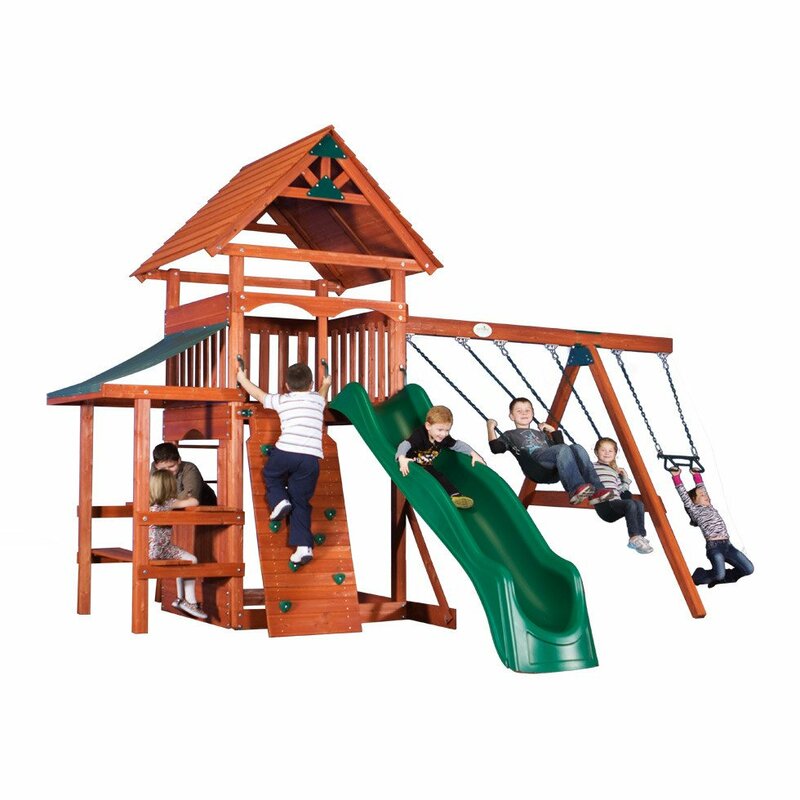 This Titan Treehouse 3 is in lightly used condition, making it a money saver for you! Backyard Adventures Mountaineer 2 was designed to maximize value for your family. With it's larger deck size it is the perfect playset for everyone to play on. 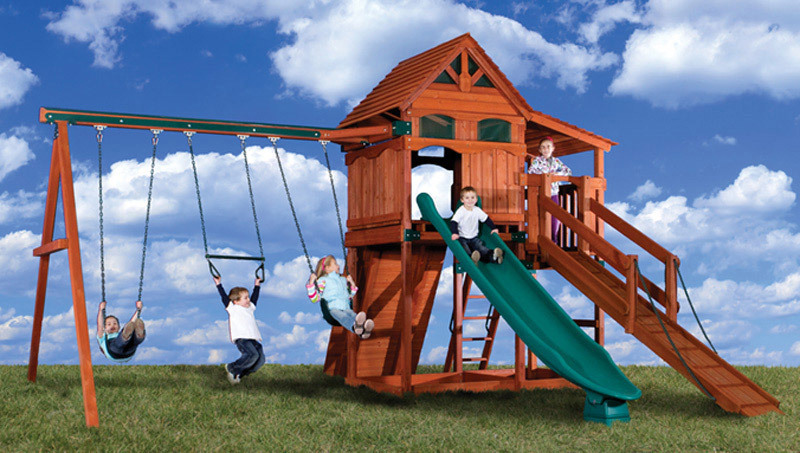 Backyard Adventures Glacier playset is one of our favorite playsets from the expedition series! 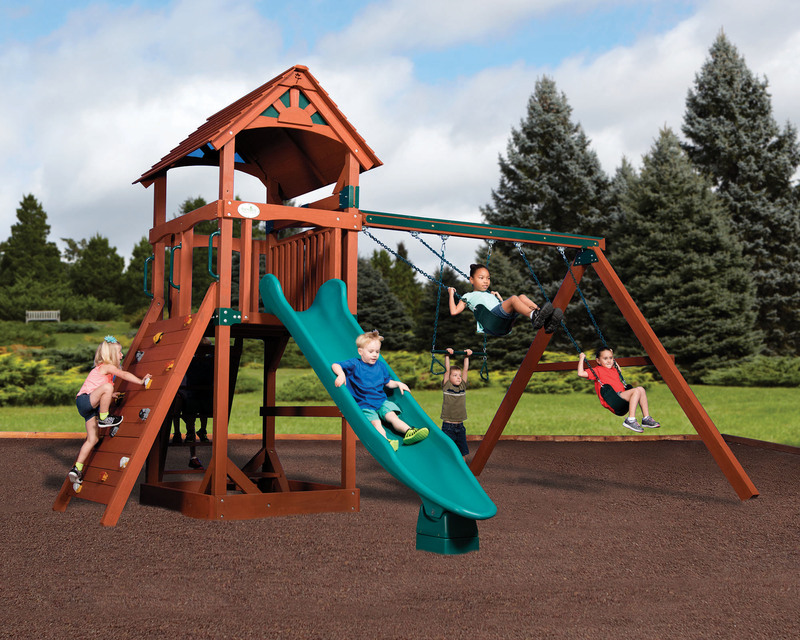 The expedition series brings you the most affordable top-quality playsets available. Each playset is thought-fully designed to with your child's play time in mind. With everything from swings to slides, rock walls, and more, your child is sure to get a playset that they will love for years to come. Backyard Adventures Adventure Treehouse Junior Space Saver is the perfect playset to accommodate those with smaller yards. 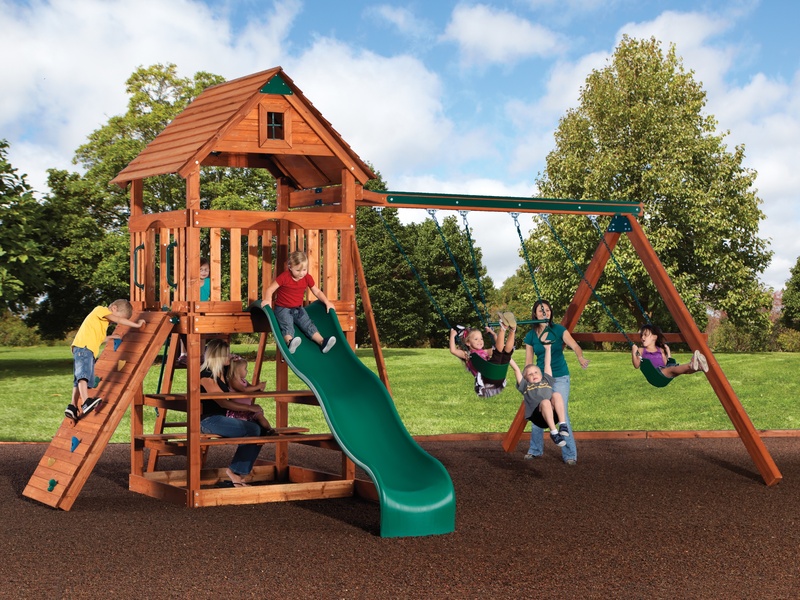 Many customers often complain that while they would love to have a new backyard adventures playset in their backyards they simply do not have enough space for some of the huge playsets we offer. With one of the amazing space saver options even the smallest backyard out there can become a world of fun for you little ones! 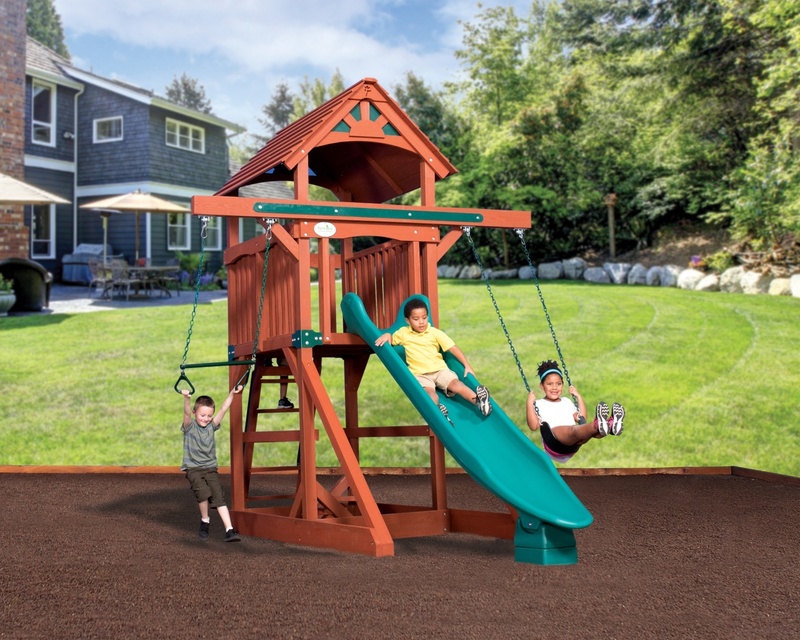 Backyard Adventures Magellan 1 playset is loaded with excitement for your adventurers! 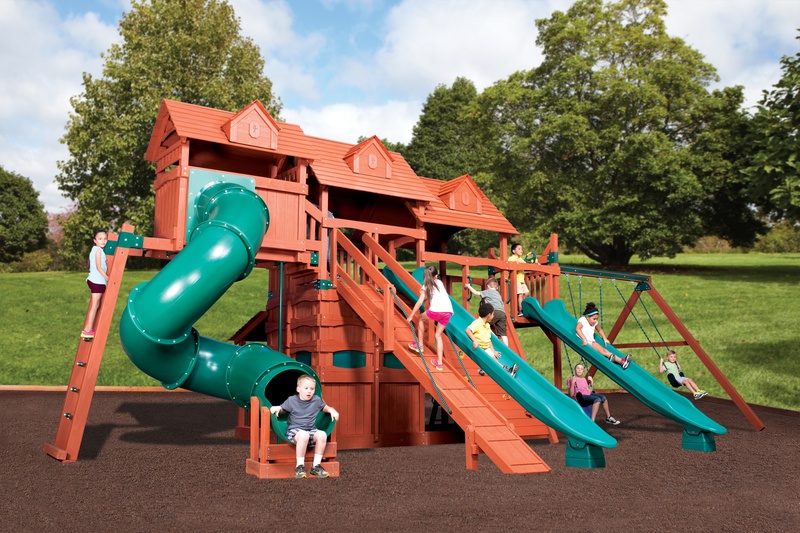 This amazing playset is great for all ages and provides the ultimate combination of fun, affordability, and quality. This Magellan fort includes some of backyard adventures most popular accessories, sure to put a smile on your child's face.